No matter what happens in your life have enough self worth to walk away from conversations and situations that are aimed to bring you down. Some people through jealousy or petty dislikings towards you will disrespect you or say nasty things in attempt to annoy or rile you. That is their issue, not yours. 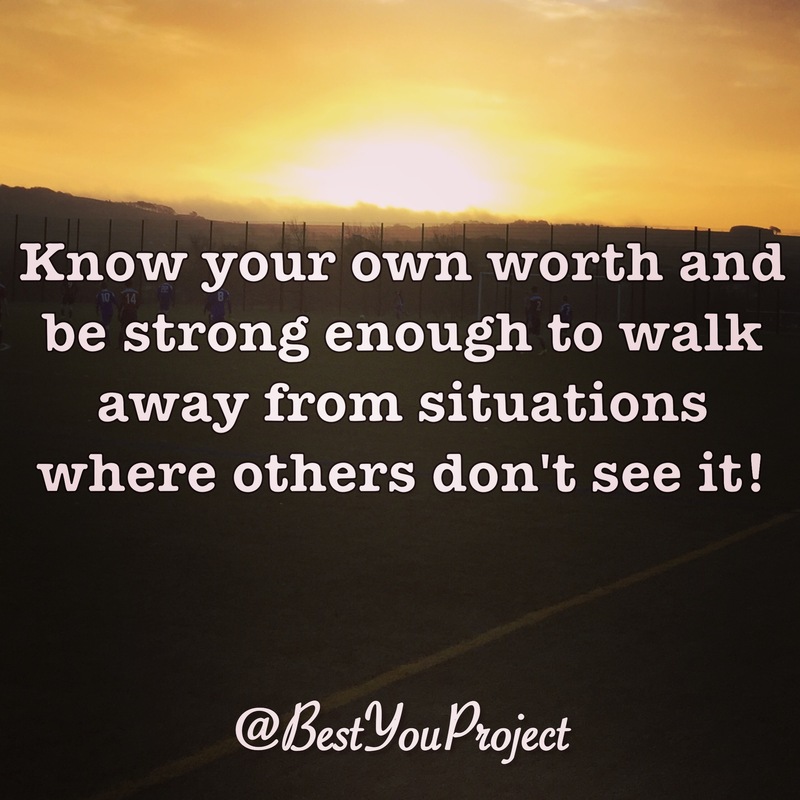 Once you know your own true self-worth you’ll find it easier to simply walk away from these situations with your dignity and self worth still in tact. Leave them to their opinion with your own self image still strong. Not everyone is going to like you, that’s just a fact of life … but don’t let someone’s dislike or disrespect of you impact your mood or your own self-confidence. Simply leave the situation and know you’re better off for doing so.